Located in Kyoto's central district of Gion, Hanamikoji Street is home to a lineup of famous tea houses and restaurants. 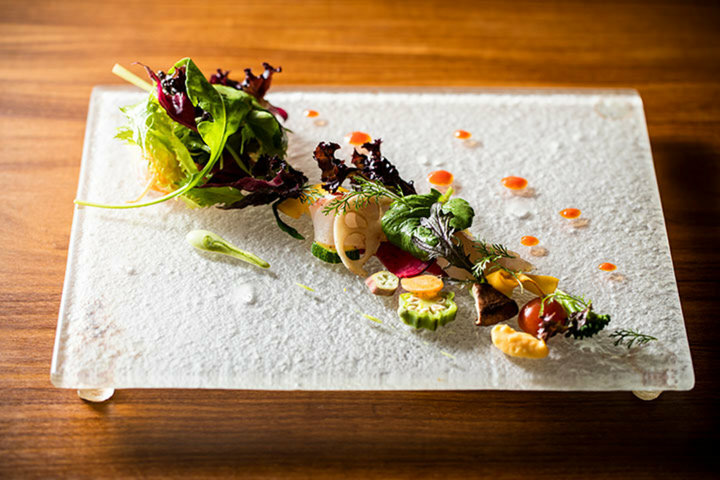 On a small road just off the street, on the third floor of a building remodeled in the theme of a Kyoto merchant's residence, is the French restaurant "Gion Abbesses," which opened in 2008. 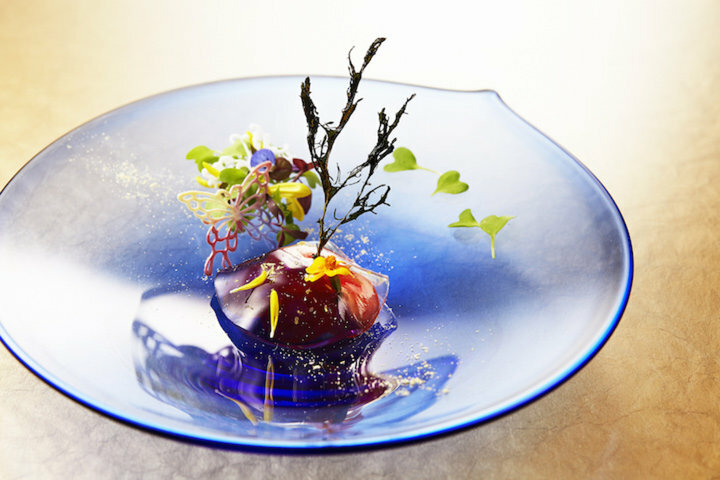 The owner-chef, Norifumi Tanaka trained at Michelin-starred restaurants in various parts of France and worked as a chef at "Au Bec Fin" in Kyoto before opening his own restaurant here. 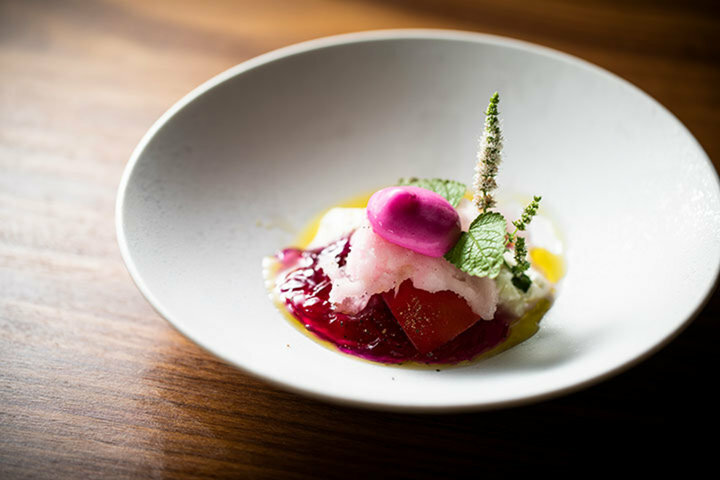 In addition to the Kyoto produce the chef personally travels around to procure from local farmers, he is also strict about the quality of his meat, fish and other ingredients and prepares course meals that emphasize the inherent flavors of each of them. 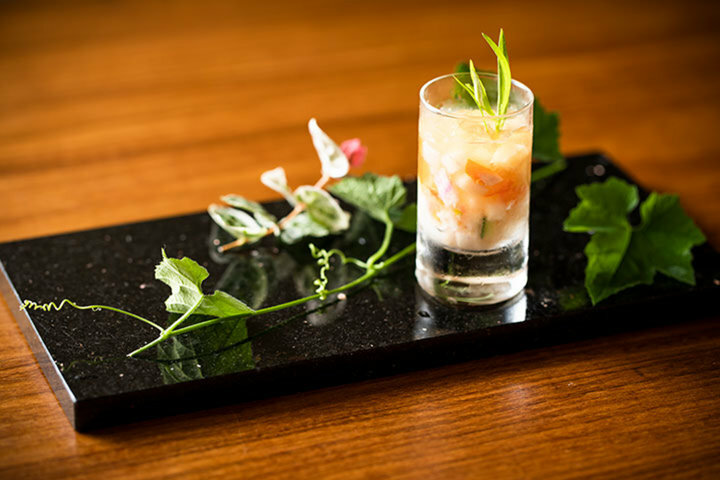 Distinctive among the offerings available is the appetizer menu, featuring the use of seasonal vegetables from Kyoto and elsewhere. 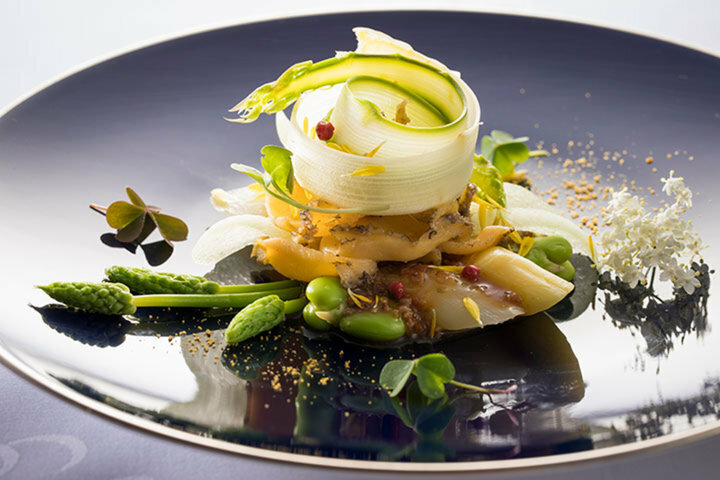 Combining around 30 different vegetables with seasonings tailored to each of them, it combines flamboyance and beauty with the delicate flavor. 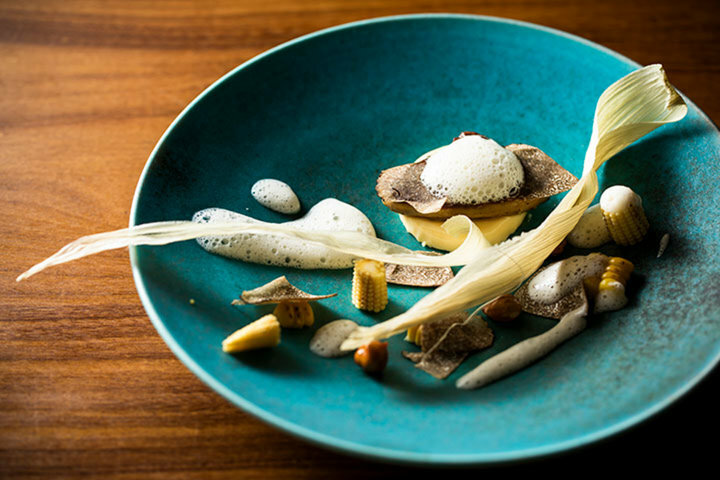 The tableware, which is also considered an important part of the dining experience, is carefully selected so as to complement each item. Guests are first welcomed by decorative dishes of Japanese cedar by the woodworker Murayama from Miyama, Kyoto. 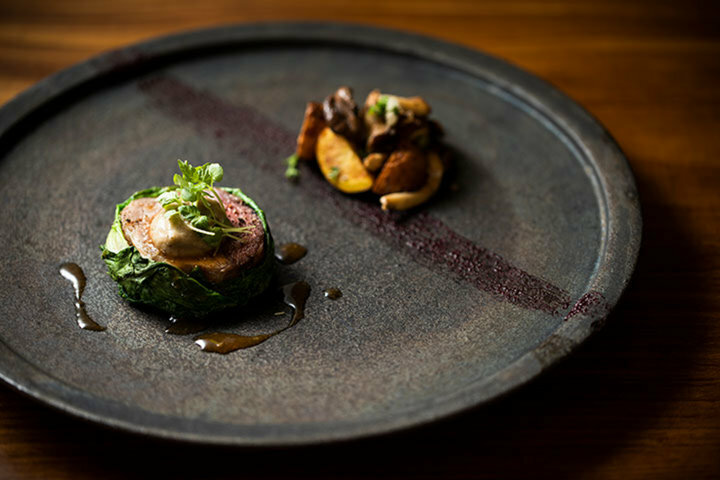 Modern-styled and featuring a simple design that is completed when topped with food, the Kiyomizu ware complements Chef Tanaka's cuisine exquisitely. A selection of over 200 wine is available for guests to enjoy their meals, with an emphasis on natural wines from France and Italy. 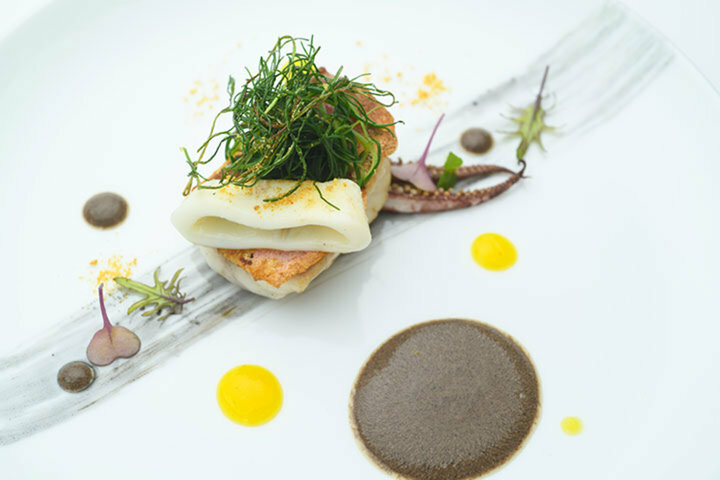 Pairings of wine by the glass for each course are also available for recommendation by the sommelier and are popular with guests who enjoy wine and food pairings. 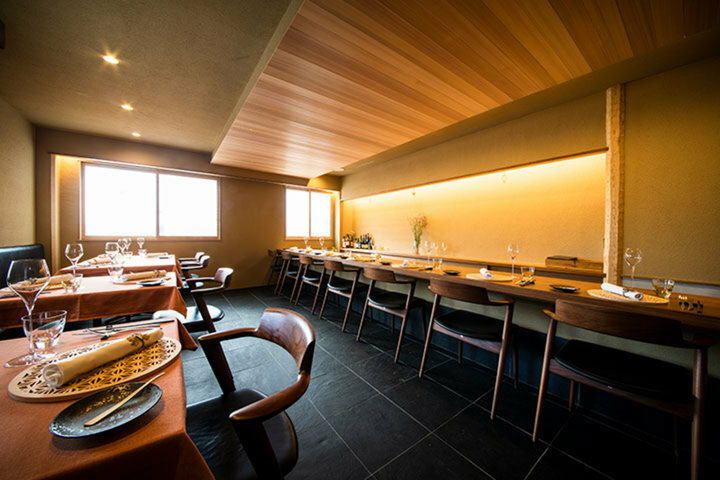 "Gion Abbesses" was renovated in 2018 by architect Tetsu Kijima, being reborn into a warm yet refined space combining earthen walls and wood themes. 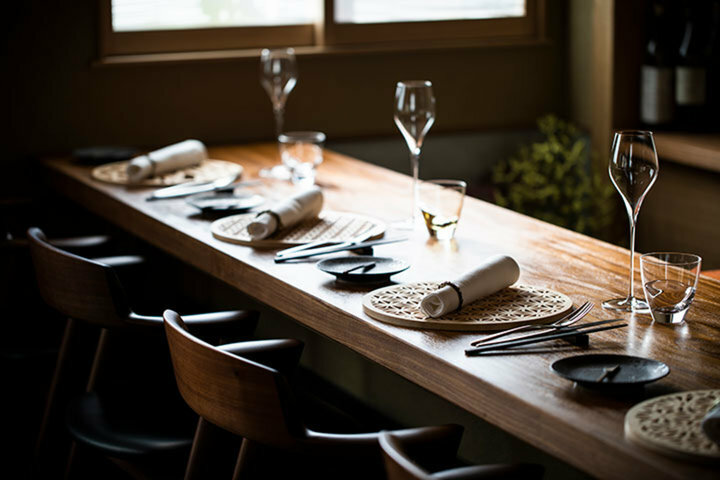 Table seating is available for eight and the counter seats eight more. The venue is also available for charter by groups of ten to 16 guests, making it well-suited for a wide variety of scenarios, from casual, everyday dining to special days, such as anniversaries and dates, as well as entertaining customers and guests. Service is also available in English and French for guests from overseas. 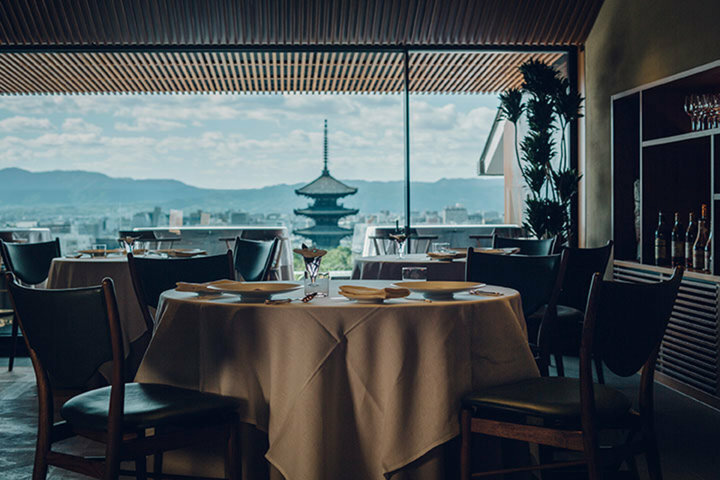 Guests are invited to enjoy a sophisticated experience at "Gion Abbesses", where they can revel in the atmosphere and flavors of Kyoto.